One of the most pressing questions in neuroscience, psychology and economics today is how does the brain generate preferences and make choices? 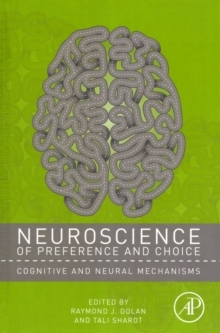 With a unique interdisciplinary approach, this volume is among the first to explore the cognitive and neural mechanisms mediating the generation of the preferences that guide choice. From preferences determining mundane purchases, to social preferences influencing mating choice, through to moral decisions, the authors adopt diverse approaches to answer the question. Chapters explore the instability of preferences and the common neural processes that occur across preferences. Edited by one of the world's most renowned cognitive neuroscientists, each chapter is authored by an expert in the field, with a host of international contributors.